Why a retail audit lexicon? Many industries and occupations have their own vocabulary to describe the various facets and nuances of their trade. Retail audits are no exception. Since we could not find a suitable lexicon for retail audit terms, we built one. This lexicon is based on our interactions with retailers in North America, Australia and Europe. Feel free to suggest additions and enhancements. Thank you. A visit acknowledgment is akin to an electronic signature. It gives the store manager, franchisee or operator the chance to acknowledge that the visit did indeed take place at the store, date and time specified. While the acknowledging user may not alter the visit, he/she can comment on the visit. Acknowledging a visit generally “locks” it from further changes. The action plan is an opportunity to apply corrective actions to problem areas. It designates an individual responsible for rectifying each problem and a target date. It allows district managers and store staff to work collaboratively, view each other’s notes and add their own. It allows for corrections to happen without incurring large time and labor overheads. Also known as Field Audit, Store Walk, Store Evaluation. A retail audit consists of a district manager or third-party auditor checking for store-level compliance with operations, service, security and/or merchandising standards at some/all stores. Audits are typically conducted throughout the year and at specific times usually to prepare for, and support, a specific in-store initiative or seasonal program. According to Wikipedia, a best practice is “a method or technique that has consistently shown results superior to those achieved with other means, and that is used as a benchmark”. 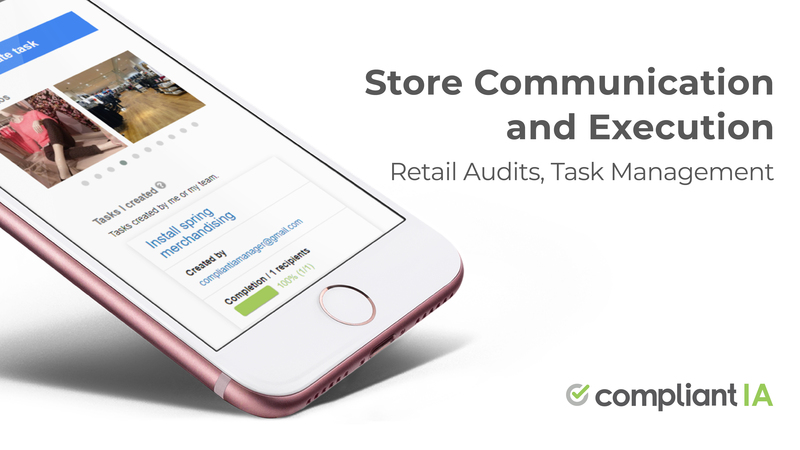 Best practices are the backbone of a retail audit program. 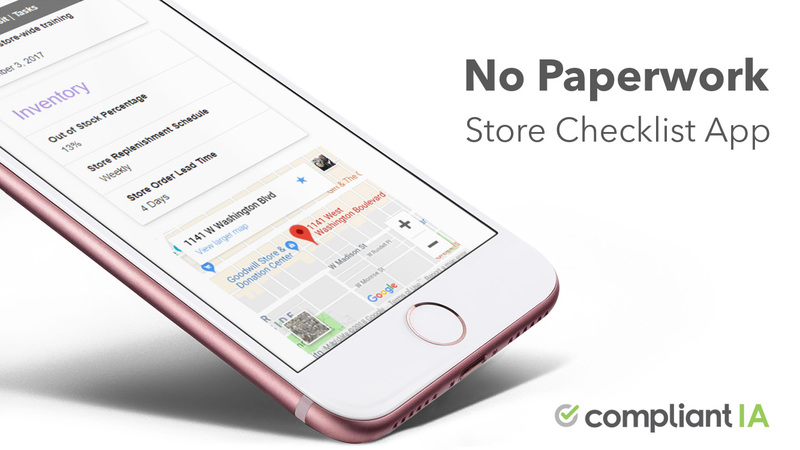 Best practices are typically reflected in the contents of the form(s) used for store visits. Best practices generally exist to increase sales, customer satisfaction and/or health and safety while reducing customer complaints, losses and risks. Selecting, vetting and testing retail audit forms with a sample group of users and pilot stores prior to general launch. For more information on calibration, please refer to Retail Audit Calibration – Purpose And Best Practices. When conducting a retail audit, the “checklist” used is generally refereed to as a form. Please find a form definition below. An end-to-end process or workflow that identifies, assigns and closes issues. A closed-loop process does not just report problems, it facilitates handling and closure. A retail audit process that identifies issues at the store, assigns them to individuals and tracks them through completion/closure is generally referred to as a closed-loop process. In a typical cloud scenario, customers own the data while the cloud provider owns the application and the infrastructure. This leads to rapid deployments and allows customers to focus on their business, not the technical delivery of the service. Adherence to operational, service and merchandising standards, best practices and company policies. Scaling a multi-unit business while protecting the integrity of the brand and the customer experience at each location requires compliance tracking and a closed-loop workflow. Often used in the food service industry, a critical item sets the entire section’s score to zero, regardless of other items in the section, if found non-compliant during the visit. Critical items can be used whenever a customer or employee’s health and safety is at stake or when the business continuity is threatened by non-compliance. A district manager is responsible for stores in a given district. The number of locations in a district varies by industry, location and brand, typically ranging from 5 to 30. A district manager is a financial advisor, a coach, a consultant, a trainer and at times a disciplinarian. A district manager needs to communicate, educate, inspire, assist, verify and enforce. A district manager is the liaison between the stores and head office, the voice of head office at the stores and the voice of the stores at head office. It is a pivotal role, the backbone of the operations apparatus. A form is a collection of items, grouped by sections, encapsulating the organization’s current standards. A form is created at head office. A form may include copy, best-practice images and attachments. Multiple forms can exist in the system concurrently, each encapsulating an area of concern or specific program, timeline and scope. Tool used to create forms. In certain retail audit systems, forms can be created online using the form builder, or offline, in Excel then uploaded to the system. Photo verification within a retail audits should be 3-layered. Best practice photos can be attached at to an item at the form level to demonstrate to the auditor what is expected. Photo can also be taken and associated with an item during the audit. Lastly, if an item is found to be non-compliant, the employee that marks it as fixed in the action plan can associate a photo as evidence that item is now compliant. A real-time system handles all operations, from data collection to reporting, in real-time. While generally superior to batch-time systems or systems relying on data-synchronization between client and server, real-time servers require a working data connection throughout the visit. A real-time system may use a wired internet connection, WiFi , Bluetooth or 3G/4G carrier signal, or a combination. Retail audit software automated the process of conducting retail audits. On average retailers save 2 hours and 25 minutes per audit when they switch from a paper/excel process to retail audit software. The expected financial returns on the investment, a.k.a. the cost of launching and running a retail audit program. For more information on the cost and ROI of a retail audit program, please refer to How Much Do Field Audits Really Cost? A score is generally used as a high-level representation of a store’s overall performance with 80/85 generally considered a “pass”. If a point value has been assigned to form items, a score is automatically calculated at the end of the visit. A workflow is a sequence of steps required to achieve a certain outcome. Retail audit software allows the organization to build workflows specific to each line of business and purpose. Custom workflows can be built by controlling access control, action plan recommendations, user notifications and more.